If you’re in the business of selling rights you also need to be in the business of tracking and pursuing rights. 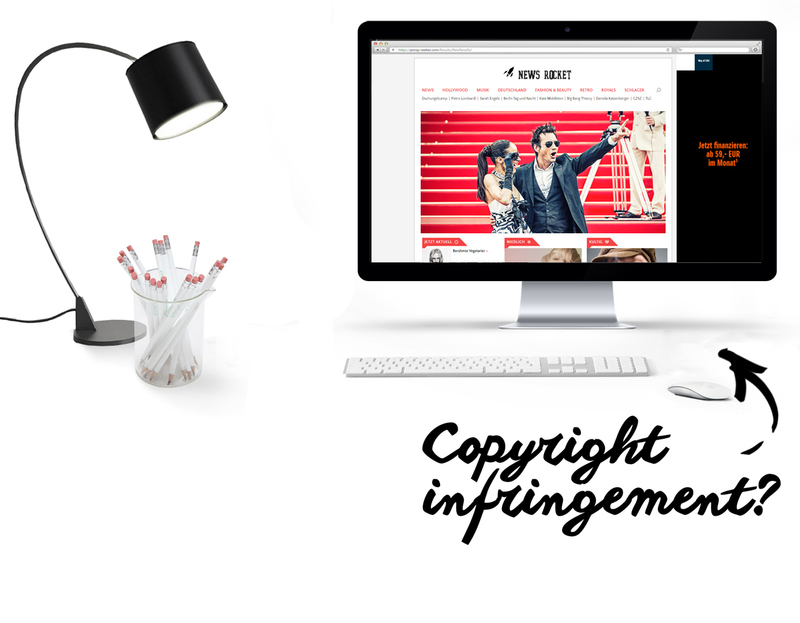 Photographers and agencies that do not have a working mechanism in place to systematically identify and enforce copyright breaches are diminishing the value of their works. Not only are they loosing direct revenue due to infringements. They also suffer from the indirect effects that go along with the perceived loss of exclusivity. Why should your customers pay for pictures, that others use “free of charge” all over the web? PIXRAY is here to help. Our technology protects rights owners and serves creatives across the globe. We know that selling and producing great content is much more fun than tracking down infringements. That’s why our first priority is to give you a user-friendly and convenient system that covers the full range from discovering an infringement to collecting payments in a hassle-free way. PIXRAY Copyright Management continually searches the web for your pictures. Automatic self-learning whitelists can be applied to filter out findings on your own or on customers’ websites. When a usage appears to be unauthorized you can create a case directly in your PIXRAY account. PIXRAY experts then compile all necessary case documentation and – if applicable – assist you in calculating the damages. You may then send the case to your own sales team for post-licensing or assign it to one of our legal or collection partners attached to your account. The case processing status is always fully transparent to you and payments received are reported directly in the PIXRAY Copyright Management System. And, just in case you were wondering: You can also run priority crawls on known infringer web sites or use our rights clearance tool to contact partner agencies about their sales of the picture, etc. The first thing you’ll realize: PIXRAY is high-tech built around your needs. Keeping an eye on the web is a massive challenge that requires massive technology. PIXRAY’s Copyright Management service crawls hundreds of millions of web pages every day and scans them for your images. 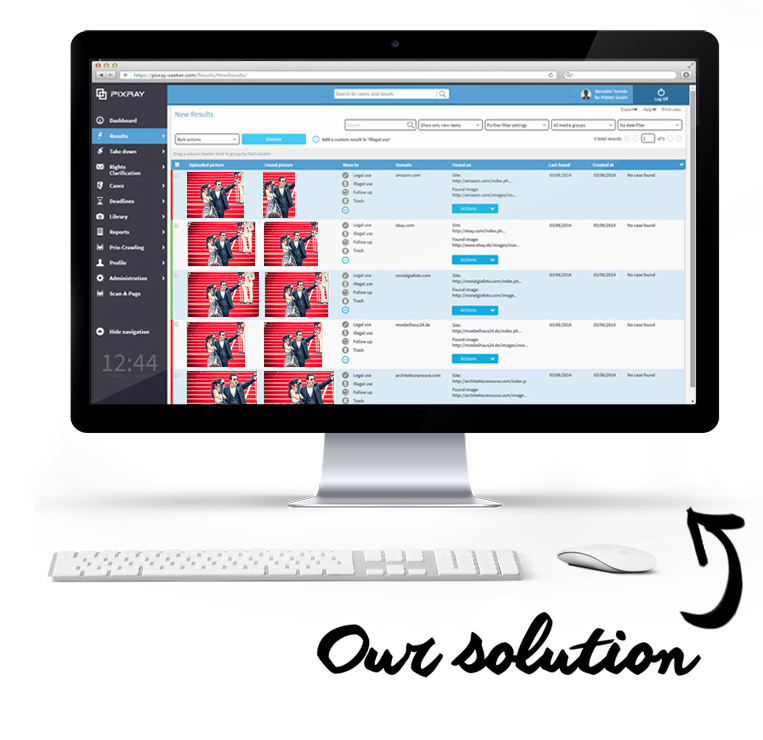 We do that by visually scanning the photos used on those web pages. To start, we only need your pictures. We find all manipulations of your images, for example resizing, cropping, color-changes, logos added, collages created, photos printed on t-shirts, etc. While our algorithms find nearly all variations of your images you will hardly ever see false findings that were not derived from your originals. Getting started is easy. Talk to one of our sales representatives today and find the right product configuration for you. You will be assigned your personal customer success consultant who will guide you through the initial setup and will introduce you and your team to the system through an online demo. Your customer success consultant will be your personal point of contact and will help you in your day-to-day work with the Copyright Management System.